Whether you are just passing through Knoxville or here for a while on vacation, there really is much to see and do off the beaten path. 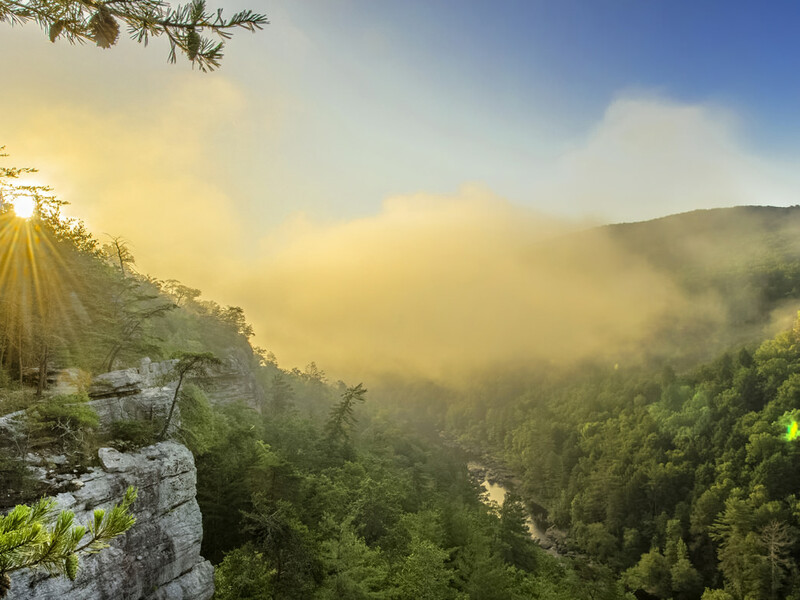 Many people come to the area for some real fun with outdoor activities being that it’s widely held to be the Gateway to the Smokey Mountains. In fact, that is this 3rd largest city in Tennessee’s nickname! Don’t let the city’s size fool you though. There really is plenty to do, much of which you won’t find anywhere else in the state. Visit The Body Farm If You Dare! Have you ever wondered just what forensic science is all about? While you may be led to believe that you’ll be walking through a ‘farm’ where you’ll be finding corpses scattered about the land, this is actually a sort of classroom where forensic scientists study human decomposition. The ‘farm’ is located within a razor wire fence cordoning it off from the University of Tennessee that is situated right in front of it. Along with researchers and scientists, you’ll get to see just how forensic science investigates the causes of death when coming up to the conclusion that foul play was involved. If that’s a little to gruesome for you, why not try your hand at solving a mystery at one of the Knoxville escape rooms? You and other players will be virtually locked in a room for the span of an hour and then given the information you need to begin solving a mystery. You might be looking for an art thief, a murderer or a kidnapper, to name a few of the mysteries you can work to solve, but you’ll need to find the clues scattered around the room. If you and the team are able to solve the mystery, you can break out. If not, you’ve lost the challenge. In either case, the room unlocks at the stroke of the hour so you’ll get your freedom anyway. It’s just about whether you come out a winner or a not-so-adept detective. Many visitors to the area were not even born when the World’s Fair was hosted in Knoxville in 1982, but that doesn’t mean they can’t enjoy touring the grounds where it was held. One of the most interesting things to see is the Sunsphere, one of the two only remaining structures from that fair, and it is said you can catch a glance of Bart Simpson’s googly eye. Although it is a place where many tourists stop during their stay in Knoxville, it is not your typical attraction when there is so much country music, southern cooking and so many adventures in the great outdoors. The one thing you might want to know when seeking thrills off the beaten path in Knoxville is that although Tennessee is a southern state, it does get quite chilly in the winter and it has been known to be blanketed in snow. If you’re looking to do a bit of climbing, canoeing or paddling, come in the warm summer months. However, break rooms are open all year long, so don’t worry, there will always be something unusual to do and see in Knoxville.